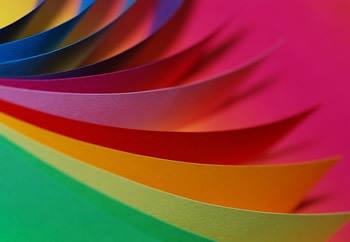 You will need some different sizes and colours of paper to begin this task - three different sizes and perhaps two or three different colours. With a partner, decide how you would describe each piece of paper. You might like to think about the words you would use to describe the size and the colour of it. Take it in turns to ask your partner to give you a particular piece of paper by describing it (no pointing allowed!). For example, “Please pass me the large blue piece of paper”; “I would like the small red piece of paper”. Next try making a pattern with two of the pieces and then ask your partner if they can copy it. We would love to see photos of your patterns and to know how you described them! Working systematically. Practical Activity. Investigations. Games. Triangles. Tangram. Interactivities. Visualising. Compound transformations. Cubes & cuboids.